May 2nd 2012 saw the launch of the Sherig Century Celebration-100 years of Educating the Nation. The day is very significant in the history of the country for this is the birth anniversary of the third Druk Gyalpo His Majesty King Jigme Dorji Wangchuck who is popularly known as the Father of Modern Education in Bhutan. There is no better way to pay our tribute to a great King whose visionary leadership is reflected in today’s Bhutan, whose passions and legacies are carried forward by His Majesty the Fourth King Jigme Singye Wangchuck and His Majesty the Fifth King Jigme Khesar Namgyel Wangchuck. Leaders who firmly and truly believed and believe that the future of the nation lies in the hands of our youth and it’s the education system that nurtures the youth of today. Thus, it is only appropriate for the Nation to pay tribute to the leaders of the past and present for reforming and transforming the education system in Bhutan. 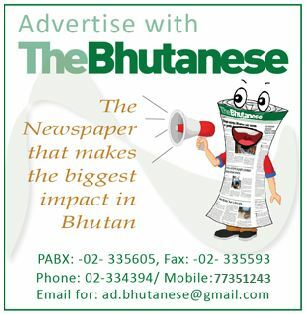 The day also marks the National Teachers Day bringing in joy and life to the teachers of Bhutan. It is therefore, only right to pay our tribute to our teachers of the past and present who have put their heart and soul in the education of the nation. This is a great day to celebrate our teachers. We must take opportunity to create that moment of celebration to help build the positive energy in the country. Our teachers are always at the receiving end, overooking their selfless services to the children of Bhutan. We forget that great teachers build nations and that they shape the next generations of decision makers in the country. This is the day for us to reflect and begin to think more meaningfully on the role of our teachers in the nation building. Talk of reflection and it takes me three decades back when I was a student in class two at the then Changangkha Primary School. Honestly speaking I don’t remember her name nor do I remember any details of her except that she was an Indian lady teacher who was very caring and kind to the children. Those days having just come from the village and getting to play swing and drive in huge toy car in her lawn was a blessing to us. The incident has been etched in my memory ever since. She has taught and left one of the most important values of a human kind in me. She may or may not be there to read this article of mine but nevertheless, I would like the winds to carry out my infinite gratitude to her and to all the teachers who have been a part and parcel of my life and made a difference in my life. Yes, all of us, our civil servants, our business organizations, our civil societies, our private organizations, our media organizations, every individual, the kind of life styles that we lead, the kind of march that our country has made over the times- all these are propelled by our education system. It’s a wonderful opportunity to look back at our education system. Education has been a faithful companion of our country’s development. We need to appreciate the contribution our education has made in the march of our country’s journeys. Sherig century celebration is not just for a day and the launch was just one planned programme amongst many that are in the pipeline. It is a yearlong celebration. In fact we should be celebrating every day, every hour and every minute the contributions made by our leaders and educators of the past and present. Sherig Century Celebration should not be just confined to the Ministry of Education. It should transcend beyond the Ministry of education. All of us should rejoice in the 100 years of educating the nation. It is an opportunity for every individual to reflect over 100 years of education in Bhutan and how it has evolved over time. It is time for us to honour our educators, time for all of us to stop for a moment and appreciate the valuable contributions that the leaders, educators and teachers have made in transforming the nation. As far as the Ministry of Education is concerned Sherig Century Celebration is spread across the country. Celebration is planned at the National Level, Dzongkhag level, and at the school level. Publication paying tribute to the teachers and general public to share their reflections and some wonderful experiences with the teachers will be published during the year and released during the culmination of the Sherig Century Celebration. As per the record, the present Ugyen Dorji Higher Secondary School is the first school that came into existence in 1913. As such, the Sherig Century Celebration will culminate at Haa, Ugyen Dorji Higher Secondary School marking the 100 years of educational journey of Ugyen Doji HSS. As a member secretary of the Sherig Century Task Force, it is my humble hope that the nation will join the Ministry of Education in celebrating the Nation. The writer is an officer in the Private School Division under the Ministry of Education . Next Exams are round the corner, where have the textbooks gone?